Attleboro (North Attleboro) – New Generation Equestrian Services. Therapeutic horsemanship program, riding lessons, and option to be part of the show team. Visit www.newgenerationequestrian.com/ or contact (774) 208-4067. 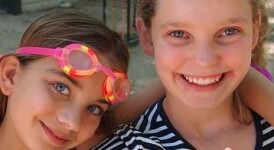 Beverly – Comfort Zone Camp For Grieving Children, Beverly. Free for bereaved kids and teens 7 – 17 who have lost a family member or care giver to suicide. Build friendships, coping skills, enjoy traditional camp fun and age-based support groups. Contact www.comfortzonecamp.org/locations/massachusetts or 866-488-5679. Beverly – The Greater Beverly YMCA Adaptive programs are designed to give children and adults with disabilities opportunities to participate in a variety of recreational and therapeutic activities. Contact 978-927-6855 x 1229 or visit www.northshoreymca.org. Beverly, Special-Needs Hockey Camp with The East Coast Jumbos. For more information visit http://americanspecialhockey.org/team/east-coast-jumbos or contact coachray@eastcoastjumbos.org or CMarkow@eastcoastjumbos.org. Bedford – Camp Triumph, Bedford, Danvers and North Reading, MA. For children with ADHD, Executive Functioning Disorder, Aspergers, Non-Verbal Learning Disability, Pragmatic Language Deficit, and Anxiety Disorder. Contact triumphcenter@verizon.net or www.triumphcenter.net or 781.942.9277. Boston – Camp Joy – Boston Centers for Youth and Families’ (BCYF) Camp Joy is for Boston residents ages 3-22 with disabilities and their siblings ages 3-7. The program is filled on a first-come, first-served basis. For more information 617.635.4920 or email Roberta.Smalls@boston.gov. Boston/Dorchester – Tween Scene Summer Program. Inclusive Summer Program teared towards tweens, ages 11-18, of all abilities who want to have fun, learn life skills, and explore the city. For more contact Erin Ferrara eferrara@bgcdorchester.org or 781-424-1297. Boston, Canton, – Doug Flutie Jr. Foundation’s AccessSportAmerica Adaptive Water Sports Program. For children and adults on the Autism Spectrum. Windsurfing, canoeing, surfing, water-skiing, etc. For this year’s specific offerings, contact 508.270.8855. Boston Youth Programs/ After School and Beyond is on the Boston Beyond page. Boy Scouts of America New England Chapters. fPlease ask for updates on which of their camps may offer s inclusive recreational activities. Visit http://heartofnewenglandbsa.org/ or contact 978-534-3532 or 508-752-3769. Boston & Cambridge – Super Soccer Stars, for ages 6 – 18. For individuals developmental and intellectual disabilities, including but not limited to Autism Spectrum Disorders, Down’s Syndrome, ADHD and PDD-NOS. Fees Apply. Contact http://boston.supersoccerstars.com/ or 781.777.7171. Boxford – Crest Collaborative. The Collaborative for Regional Educational Services and Training (CREST) was formerly the Greater Lawrence Educational Collaborative. Day program for ages 3 to 22 that have moderate to intensive/severe developmental delays or multiple disabilities. Contact http://crestcollaborative.org 978 685-3000 ext 122. Boxford and North Andover – Windrush Farm, Boxford & North Andover, MA. Working horse farm with weekly summer clinics such as Recreational Day, non-riding Horsemanship and Youth-At-Risk, for children and adults with physical, emotional, and learning disabilities. www.windrushfarm.org, 978-682-7855. Brighton, Franciscan Hospital for Children Adaptive Sports Program: Soccer Adaptive Camp: August 6-10, 2018, Adaptive Bike Camps: August 13 – 17th, , 20 – 24, 2018. Fees apply. For more information contact (617) 254-3800 ext. 2280. Cambridge Adventure Day Camp & Daybreak Camp: Both camps offer inexpensive both activities that allow children with disabilities to experience the joys of summer camp without the high price. Complete the enrollment applications on their Camp Programs page. Cambridge & Somerville – Daybreak Day Camp, Cambridge and Somerville. Providing supportive, therapeutic summer program for children, ages 5 through 11, with emotional and behavioral special needs who live in Cambridge and Somerville. www.cambridgecamping.org or 617-864-0960. Canton – Massachusetts Hospital School Summer Program, Canton. Adapted Aquatics, Creative Arts, Academic Support, Outdoor Adventures, Music and Drama, Sports, Boating & Water, Life Skills. For updated information contact (781) 828-2440or visit The Massachusetts Hospital School Summer Program Page. Chelmsford – The Paul Center Extended Year Summer Program, Chelmsford, MA. For students ages 4-21 with moderate to severe range of disabilities. www.thepaulcenter.org, 978-256-4396. Cohasset, East Weymouth, Hingham – South Shore Support Services. Music Therapy, Yoga, Bowling. Fees apply. For more information contact 781-331-7878 ext. 19 or visit South Shore Support Services. Concord – MinuteMan Arc.. Special-Needs outing-based recreation program for ages 8 – 21. Outing-based recreation program for community exploration, motor skill development, and socialization. Fees apply. Contact 978-287–7936. Danvers – The Spotlight Program. Drama-based social pragmatics for youth ages 9-22 with social-emotional challenges such as Asperger’s, HF Autism, ADD/ADHD, anxiety, etc. Community field trips, support groups, ndependent living skills, film making, swimming, etc. Contact www.spotlightprogram.com or 978-624-2335. Dedham Area – PathFinders Special-Needs Camp: Dedham & Surrounding Communities. For special needs kids ages 6-17. Kickball, t-ball, whiffle ball, swimming, nature walks, field games, arts & crafts, story time, etc. Transportation is available. All facilities are fully accessible. For more information visit the Dedham Park & Recreation Pathfinders Page. Duxbury – Duxbury Bay Maritime School – ACCESSail. An outreach program that offers sailing programs for adult and youth students with cognitive and/or physical challenges. Contact 781.934.7555. East Sandwich, Riverview School Summer Program: Grades 6-12. For campers with complex language, learning and cognitive disabilities, focus on recreational activities, academics, personal growth , social skills training, and independent living. Visit Riverview School or contact admissions@riverviewschool.org or 508-888-0489 ext. 206. East Weymouth, Cohasset, Hingham – South Shore Support Services, Music Therapy, Yoga, Bowling. Fees apply. For more information contact 781-331-7878 ext. 19 or visit South Shore Support Services. Framingham – Parks and Recreation Department. Visit their Parks Department Page or call 508-532-5960. Girl Scout Camps – Brewster, Bradford NH, Pelham NH, and Plymouth MA have overnight programs, plus day camps across the region. Call 800-882-1662. Hanover – Cardinal Cushing Centers’ ACHIEVE Program, Hanover, MA. Transition program serves 17 -23 years old with mild to moderate intellectual or developmental disabilities, autism or Down syndrome. Visit www.coletta.org or call 781-829-1205. Hanover – Cardinal Cushing Centers’ ACHIEVE Program. Transition program serves 17 -23 years old with mild to moderate intellectual or developmental disabilities, autism or Down syndrome. Visit www.coletta.org or call 781-829-1205. Holliston – Breezy Hill Farms, Holliston, MA 508-429-6233 or the Breezy Hills webpage. Offers those with physical, developmental and social delays horseback riding and therapeutic intervention. Hopkinton & Sudbury – Aspirations Summer Camps, Sudbury & Hopkinton, neighboring communities. Recreation for children with Autism Spectrum Disorders, in partnership with the Metrowest YMCA in Hopkinton. Contat susan_iaconosudbury.k12.ma.us or 978.639.3222. Lexington, MGH Aspire Trailblazers for ages 12 – 15. Focus on Self-Awareness and Self-Advocacy. Outings to local institutions where the participants will get hands-on experience and pre-vocational training. For more information visit www.mghaspire.org or contact 781.860.1906. Middleborough, E.A.S.T. Summer Day Camp. Free admission and bus service. Serves children with moderate and mild special needs and disabilities, but all children are welcome. For more information contact E.A.S.T. Youth Center, Inc., 617-637-8206. Needham – Confidence Connection. For ages 3 – 14 with behavioral, developmental, and social needs. Diagnoses may include PDD-NOS/autism, speech and language delays, ADHD, cognitive delays, and related challenges. Contact info@ConfidenceConnection.org or 781-433-9890. Newton- Camp Echo Bridge – An inclusive camp summer and academics program for ages 6 – 21. Activities and academics are grouped by age. www.newtonma.gov/gov/parks/camps/bridge.asp or (617) 796-1538. Newton – Carrol Center for the Blind, Newton. Summer Youth Programs, CarrollKids, CarrollTeen, CarrrolKidsTeenWest, Programs include Learning And Living Together, Strategies For Achieving Curriculum Access & Personal Potential, Learning to Learn, Real World of Work Experience, Transition to College, Computing for College, Accessible iOS App Camp. Visit the Carroll Camp Page for more information. Newton – Waypoint Leaders in Training program. For active young adults with disabilities ages roughly 17-25, a 3-day course to develop a leader and decision maker. Fees apply, registration required to 617.244.5472. North Easton – Girls Overnight Respite, House of Possibilities, North Easton, For girls 8 – 21 with special needs. Fees apply, financial help may be available. Visit www.houseofpossibilties.org, or call 508.205.0555. Scituate’s CORSE – Inclusive Camps: CORSE Foundation All Stars camps provide recreation for children with and without special needs up to age 22 who would prefer a less competitive atmosphere. Includes a Youth Camp, Gym Program, Field Trips, Maritime Water Adventures, the “I Can Bike” program and more. For more information visit the Corse Foundation Programs Page. Somerset – Adaptive and Inclusive Recreation & Enrichment Summer Inclusive (AIRE) Program. Inclusive programs such as Music & Movement and Theatre, Hip Hop Line Dance & More. Call 508-343-0573, or visit the A.I.R.E. Foundation. Sudbury – Summer Inclusion Program. The Sudbury Park and Recreation department – Behavioral support, activity adaptation and friendship facilitation for children entering grades K – 5. Participants must have an IEP or 504 to qualify. Scholarships available. For more information contact 978-639-3257. Wakefield – Camp S.A.I.L., from EMarc, Wakefield. CAMP S.A.I.L. Summer Adventures, for ages 13-21 with developmental disabilities. Recreation, plan outings, and practice with different kinds of transportation. Fees apply. Contact www.theemarc.org/ or call 781.942.4888. Watertown – Camp Pequossette Day Camp, Watertown Rec Department, serving Watertown, Waltham and Belmont. Inclusion program incorporates special-needs youth, 6 – 12, in with the standard program. Finanical Aid Available. Arts, games, etc. Call 617-972-6494. Watertown – End of Summer ABA Camp, Watertown. Children ages 3 – 5 participate with indoors group activities and social and language interaction and instruction. Contact Katie Carey, Advances Learning Center, 617-923-7575 x 30. Watertown – Perkins School for the Blind, Watertown. Outreach Services offers different age based camps for students ages 3-7 and 7-14. 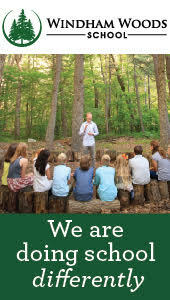 For more information visit www.perkins.org/school/day-residential/summer-programming or contact 617-972-7573. Wellesley – Confidence Connection/Camp Confidence. For ages 3 – 12, program has developmental, social, and behavioral help for children with PDD-NOS/Autism, speech and language delays, ADHD, cognitive delays and related challenges. 508.479.6097 or visit The Confidence Connection. West Newton – The Price Center Summer Trips, West Newton. Trips to Walden Pond, Fenway Park, Roger Williams Zoo, and Strawberry Picking. For more information contact 617.332.7477, ext. 220. Westford – Camp Apex-Marcus Lewis Day Camp. Typical camp that accepts a limited amount of High-functioning children with Autism and Aspergers. Campers must be approved prior to registering. Fees apply. Visit the Camp Apex Marcus Lewis Page for more info. Blackstone – The “A” Team at the Blackstone Valley Boys & Girls Club: The “A Team program” is for children with high functioning autism and Asperger Syndrome. Fees apply. For more information contact 508-883-6363. Brookfield/Sturbridge – Elm Hill Center Summer Enrichment Program and Therapeutic Riding Program. For ages 6 -14 of all abilities. Call 508-347-8181 or visit Rehab Resources Inc.
Hopedale – Camp Brain Gym Summer Camp: Multisensory developmental activities using Brain Gym® movements for emotional regulation, focus, independence, and social awareness. For updated information contact 1-833-BFA-4YOU. Holyoke, CHD Disability Resources. Please see West Springfield information below, or contact 413-788-9695. 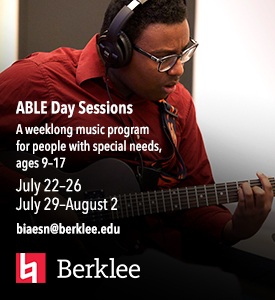 Lee, Summer@CIP Berkshire – For young adults with autism and learning differences. Learn skills to prepare for attending a college, the workforce, or learning to live independently. One college credit is earned. Visit www.cipworldwide.org/summer or contact Alicia Bourdon, abourdon@cipworldwide.org 877-566-9247 x26. Northhampton – Clarke Summer Adventure. Two-week program for children, 9-13, who are deaf or hard of hearing, offers recreation, arts and crafts, hiking, swimming and more. For more information visit www.clarkeschools.org/summeradventure or contact mdehahn@clarkeschools.org 413-584-3450. Palmer – Tikvah Program at Camp Ramah in New England. Inclusive camp that serves Jewish campers with a wide range of differences, including learning disabilities, ADHD, autism, developmental and intellectual disabilities, and neurological impairments and for those that can use vocational .For updated information, visit www.campramahne.org or contact 781/702-5290. Paxton – Turn Back Time Camp. For all ages and capabilities, connect with animals and nature through farm education and play. For updated information contact 978-760-3707. Pittsfield – United Cerebral Palsy/Northern Berkshire Support Services. Pre-School to Young Adult. Autism Spectrum, Behavior Disorder, Blind, Multiple Disability, Deaf, Developmental Delay Birth to 3, Hard of Hearing, Learning Disabilities, Visual Impairment, Intellectual Disabilities, Speech Impairment, Physical Disabilities. Swimming, Therapies, Cooking, Arts, Sports. www.ucpberkshire.org or info@ucpberkshire.org or 413-442-1562. South Hadley – Berkshire Hills Music Academy Summer Program. www.berkshirehills.org 413.540.9720. Springfield – Braille Rocks Impairment Camp for Braille Literacy, National Federation for the Blind of Greater Springfield. For ages 4-12, activities include non-visual skills of blindness, Braille reading, writing, orientation, mobility, games, field trips and more. For more information visit www.nfbmags.org or email KristinaConstant66@gmail.com or call 413-218-2339. Springfield – School Age I & Family Skill Building. Children ages 6 to 13, with ADD/ADHD, Behavioral and Mental Health Challenges, Speech Impairment, Learning Disabilities. Swimming, Socialization, Arts and more. For updated information contact www.mlkjrfamilyservices.org or 413-746-3655. Springfield – Impairment Camp for Braille Literacy, National Federation for the Blind of Greater Springfield. For ages 4-12, activities include non-visual skills of blindness, Braille reading, writing, orientation, and mobility, games, field trips and more. Fees apply. For more information visit www.nfbmags.org or email KristinaConstant66@gmail.com or call 413-218-2339. Springfield – JCC Inclusion Camp Kehillah. Inclusion and Substantially Separate Camps. Swimming, cooperative games, crafts projects, build social skills, learn self-advocacy techniques. Contact byoung@springfieldjcc.org or call 413.739.4715 ext. 315. Westfield – Kamp For Kids. Serving communities throughout Western Massachusetts, offers children and young adults ages 3-22, with and without disabilities, inclusion and fun in a summer camp setting. Visit Kamp for Kids or call 413- 562-5678. Worcester – Summit Academy Therapeutic Enrichment Program: For children with Aspergers, PDD-NOS, ADHD, NV LDs and HF Autism. Maintain progress made during school year, gain new social communication and adapability skills. July – August. www.summitacademiesma.com or 508-751-8500. Gilmanton Iron Works, NH. Easter Seals Massachusetts’ Camp Sno-Mo offers youth with disabilities and special needs, ages 11-21, an opportunity to inclusively participate alongside Boy Scouts in activities including water and team sports, hiking, crafts and more. 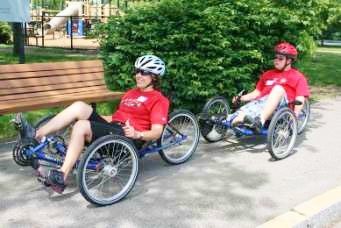 Visit www.easterseals.com/ma/our-programs/recreation/camp-sno-mo.html or contact Desi Forte, dforte@eastersealsma.org, 617-226-2855. Maine, Bridgton, Zohar at Camp Kingswood – Boys and girls ages 10 – 17 with all developmental disabilities and/or neurological and learning challenges can build Jewish identity, gain self-confidence and develop independence. Overnight camp , with support and supervision of specially trained staff. Contact kingswood.org to or info@kingswood.org 617-558-6531. Did you miss out on the camp fairs this year? Just use the calendar arrows above to explore past summer camp expos, fairs, open houses and more. SPED Child & Teen was recently interviewed by BayStateParent about how to choose a special-needs camp. With their permission, we are publishing excerpts here. Choosing the right summer camp for a child isn’t easy, and it can be even more challenging for those whose children have special needs. Yet experts say parents can find the right camp by doing a little homework, asking a lot of questions, and communicating honestly with camp staff. “Camp is a difficult one because if you get it wrong, you’re going to hear it all summer,” laughs Sharon Riddle, publisher of spedchildmass.com and a mother of two sons with special needs. One of her site’s features is a listing of more than 100 camps in Eastern, Central, and Western Massachusetts designed for children with special needs, or traditional camps with inclusion programs. If a child loves art and could draw all day, an outdoor sports camp may not be the best choice. Even if a camp fits a parent’s budget and availability, if it doesn’t fit the child, why bother? Experts also advise considering a child’s preferences and triggers. In what situation does she thrive and in which does she have the most difficulty? For example, a camp with a lot of field trips may be a poor choice for a child who prefers routine or is anxious in new situations. If a child succeeds best in small-group settings, a program that offers only large group activities may not be the right fit. If a child has never been to camp before, is a full-day program the best option? “You really need to say, ‘What does my child like? Am I trying to fit a square peg into a round hole?’” Riddle says. She saw the power of the right camp first-hand when her youngest, now 17, finally found a camp that fit his interests. He had tried a variety of camps and programs, but nothing moved him until the family found an aviation camp that centered around his love of flying. Safety: Who is teaching and and watching your child? What are their training, education, and credentials? From field trips to bathroom visits, what is the student-to-staff ratio? Are campers monitored to ensure they respect personal boundaries? Medications: For children who need medication during the day, what is the procedure and who will administer? How many nurses are staffing the program? And finally, if a child needs medication at a specific time and the nurse is handling an emergency, is there a backup plan for someone else to administer them?